Losar is Tibetan for “new year” and the Losar festival is the most important festival in Tibet and for Tibetans living outside Tibet, f.e. in Nepal. 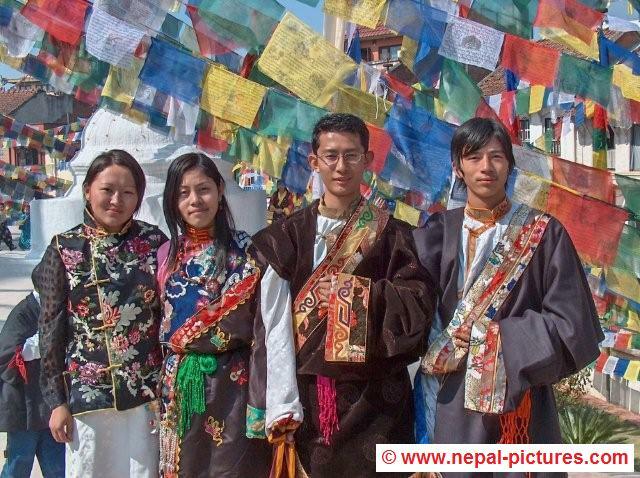 In Kathmandu there is a huge Tibetan community, mainly concentrated in the Bouddha area. 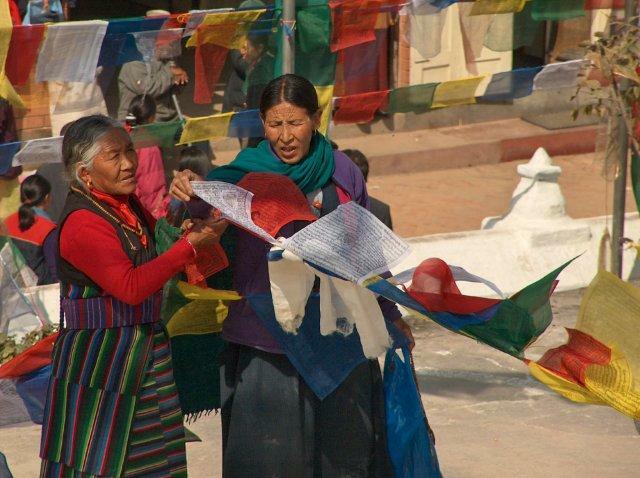 Loshar is also the New Year for the Sherpa community. During the Loshar festival, Sherpa families gather together to consume a soup called guthuk and special pastries called Khapse. 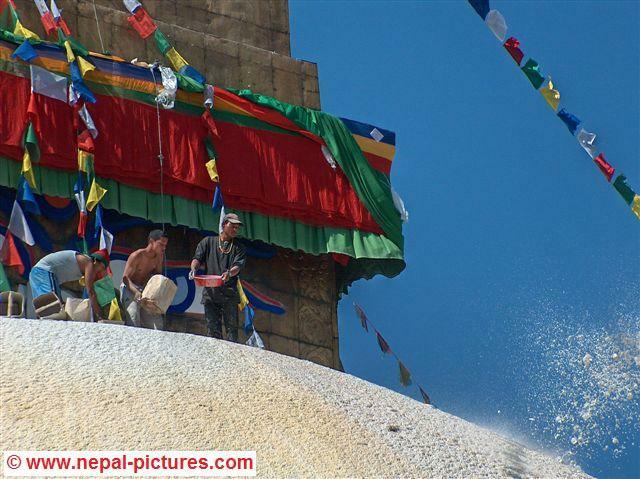 Many Sherpas visit holy Buddhist sites like Swayambhunath and Boudhanath for prayers. 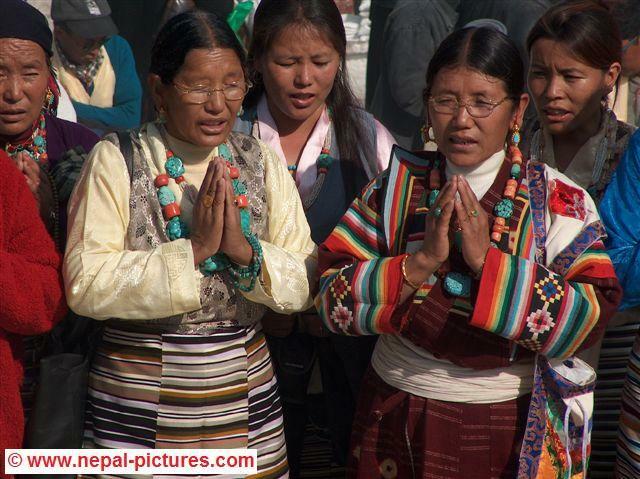 Losar is celebrated for 15 days, with the main celebrations on the first three days. Losar begins on the first day of the first lunar month of the Tibetan calender. This is often in February. 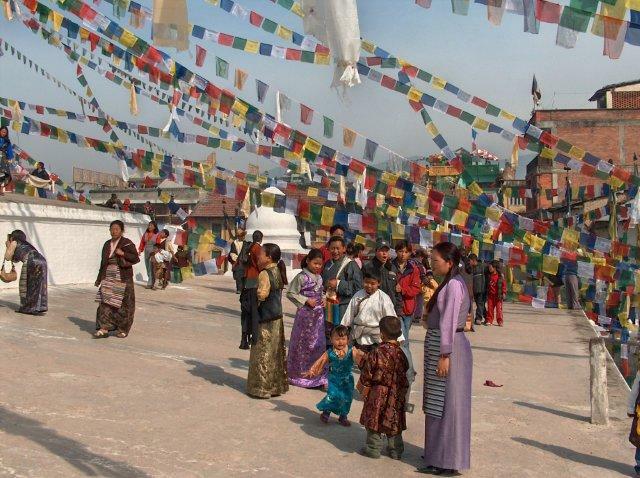 Many Tibetans come to the stupa of Bouddhanath for offerings, celebrations and getting together. In 2019 the main day of Losar will be February 7.